The eclectic sculpture garden adjacent to the Walker Art Center is in part designed for stormwater retention. Minneapolis’ celebrated sculpture garden at the Walker Art Center will close its gates in October, reopening May 2017 after a major redesign of its landscape and conservatory. 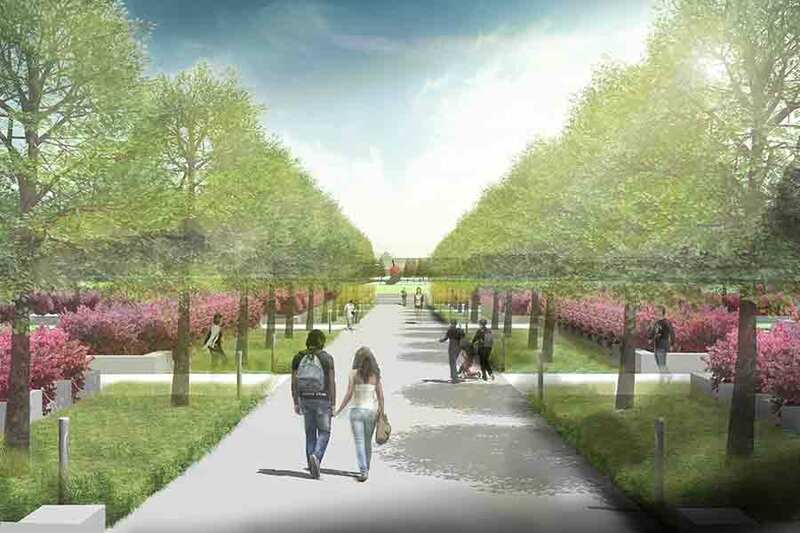 Snow Kreilich Architects and landscape architects Oslund & Associates, both of Minneapolis, will lead the $10 million design in collaboration with Minneapolis’ Park & Recreation Board. 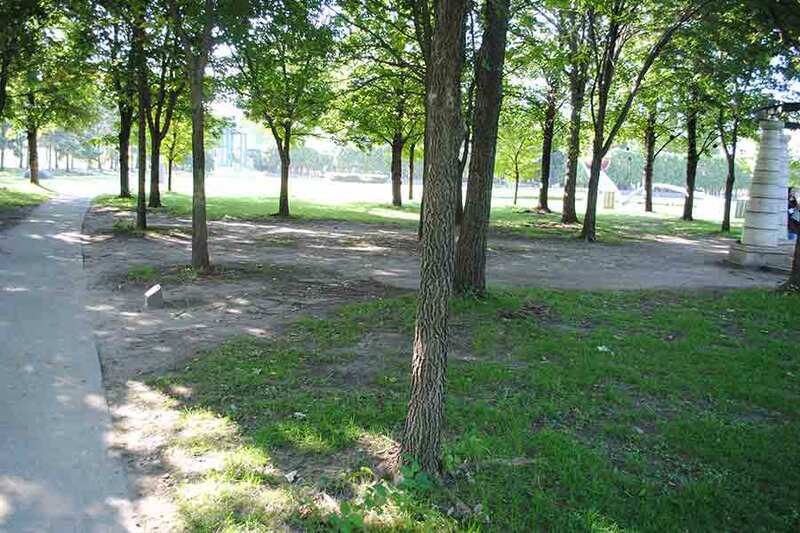 According to architect and Minneapolis Park & Recreation Board Project Manager Dana Murdoch, the work is long overdue. As part of an ancient drainage bed for the Mississippi River, the site has a high water table. Murdoch said the garden—built in 1988 by Edward Larrabee Barnes and landscape architects Quinnel Rothschild & Partners, and expanded four years later by Michael Van Valkenburgh and Associates—has needed an overhaul for at least a decade. It took until May 2014, however, for the Park Board to win $8.5 million in general obligation bond funding from the state of Minnesota. The project got another $1.5 million through the regional Mississippi Watershed Management Organization for its focus on stormwater retention. On the north end of the site, where the drainage problems are most severe, the design team plans to reorganize the space around three circular, outdoor “rooms.” Riprap slopes raise the rooms above a large cistern and retention pond that, according to Oslund, is shaped “kind of like an Aalto vase.” The depression will contain the entire garden’s stormwater and will be bridged by elevated granite pathways. 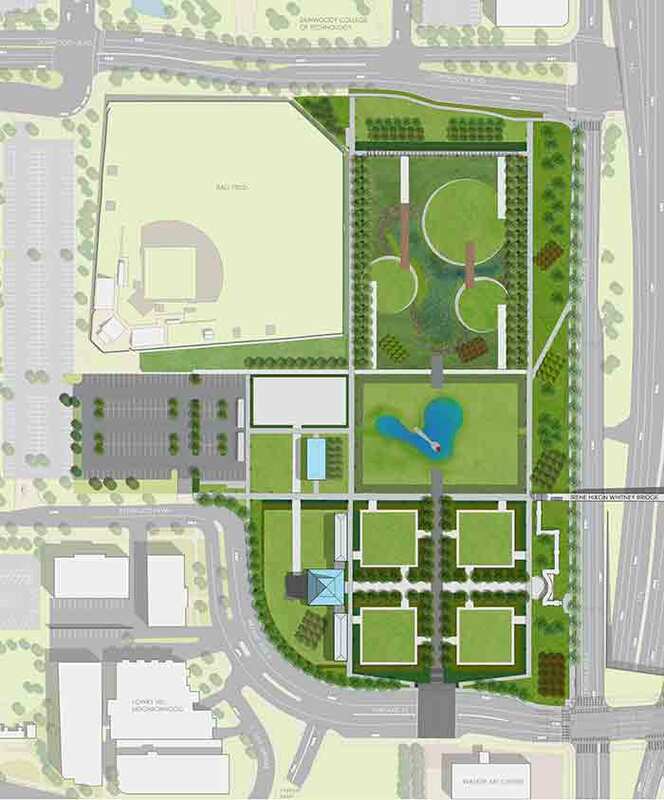 To the southern end of the site, four square rooms will feature an “enhanced turf” to aid stormwater drainage while supporting the artwork and granite pathways. Oslund’s design replaces an existing arborvitae perimeter with a lower, deciduous hedge. Along with perennial plantings and ornamental grasses, the new greenery is meant to help invoke a sense of discovery. Depending on the room, these reveals could be for work by Fritz Haeg, Mark di Suvero, Ellsworth Kelly, or one of dozens of artists who have contributed more than 40 sculptures to the 11-acre site over the years. The redesign maintains the central location of perhaps the garden’s most well known piece, “Spoonbridge and Cherry” by Claes Oldenburg and Coosje van Bruggen. Spoonbridge will stay in place during construction, as will work by Sol LeWitt, Frank Gehry, and Richard Serra. A handful of sculptures are going on long-term loan elsewhere in the area, including to Gold Medal Park and the Minneapolis Institute of Arts. The rest will stay in protected storage in an adjacent parking lot, according to the Park Board’s Dana Murdoch. More than 350,000 annual visitors will have to wait two years to return to the garden, a popular wedding destination and event space, but Murdoch said the closure was unavoidable due to the nature of the work—specifically the new stormwater system and the upgraded irrigation. “You just have to dig everything up for that,” she said.